January 26, 2014 January 26, 2014 Wallace Bishop I.N.H.C, C.N.C. Ginger not only adds great flavor and depth to foods it also has magical health properties! Ginger has been used in Chinese and oriental medicine for over 2,000 years. Additionally, ginger has been studied at length and the studies continue so science can understand even more of its amazing healing powers. Using ginger often in your foods and drinks can help improve your health in many ways in addition to adding great flavor. Add ginger to soups and other dishes. Experiment with it. Just understand ginger has a strong flavor and it doesn’t take very much to get the flavor or health benefits. Ginger has shown to be so effective against so many health issues it should be a mandatory part of your dietary regimen! Ginger may be one of the most powerful healing foods you can eat? These are a few of the health issues where Ginger really works! Antibiotic: Ginger’s antibiotic effects are powerful. Studies show ginger has an antibacterial effect on gut, respiratory and oral infections. Antifungal: Ginger has been found to have anti-fungal ability, including to drug-resistant forms. Cancer: Several studies have shown ginger’s ability to kill several types of cancer cells, including some of the most aggressive and difficult to treat including lung, ovarian, colon, breast, skin carcinoma, prostate, and pancreatic. Diabetes : Ginger can protect nerves in diabetics and lower blood fat levels.Studies have also shown that regular use of ginger can help lower blood sugar, cholesterol, and blood fats, which are often affected by diabetes. Digestive problems: Ginger’s ability to ease gastric irritation is well studied and verified. Additionally, it improves digestive movement by improving intestinal movement and speeding up the emptying of the stomach for those with stomach motility problems. Heart attacks; At least one study demonstrates that ginger extract may help prevent heart attacks. Inflammation: Ginger reduces inflammation in auto-immune conditions like gout and many forms of arthritis and even some neurodegenerative diseases. Helicobacter pylori; Ginger kills this bacterium, which studies link as a cause of ulcers and cancer. 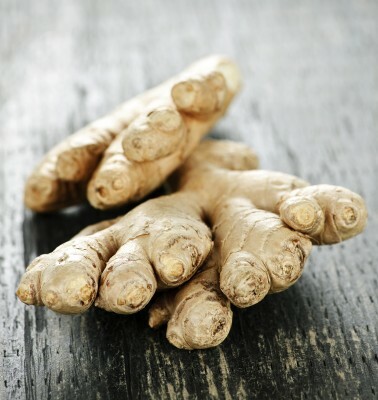 Ischemic strokes, Ginger extract may significantly reduce and limit the damage and help alleviate memory loss. Muscle soreness from exercise; Studies show that ginger helps reduce muscle soreness by reducing inflammation and improving recovery. Toxicity: Ginger helps prevent the toxic effects of a wide variety of toxins. Ulcers: Intestinal ulcers can be prevented with ginger. Ginger interacts with many drugs. In most cases there is little problem however it is best to always ask your doctor or pharmacist if you are taking one of these drugs while consuming ginger. Diabetes medications, including insulin, glipizide (Glucotrol), glyburide (Glynase, Diabeta, Micronase), chlorpropamide (Diabinese), tolbutamide (Orinase), tolazamide (Tolinase), troglitazone (Rezulin), rosiglitazone (Avandia), repaglinide (Prandin), metformin (Glucophage), and others. Aspirin or other NSAIDs (non-steroidal anti-inflammatory drugs) such as ibuprofen (Motrin, Advil), diclofenac (Cataflam, Voltaren), etodolac (Lodine), indomethacin (Indocin), meloxicam (Mobic), nabumetone (Relafen), naproxen (Aleve, Naprosyn), piroxicam (Feldene), and others. Blood thinners, usually used for deep vein thrombosis (often during surgeries), including ardeparin (Normiflo), dalteparin (Fragmin), danaparoid (Orgaran), enoxaparin (Lovenox), or heparin. One of my favorite ways to use ginger is in this cleansing and refreshing lemonade. Knowing how wonderful ginger is, you would be crazy not to use it often. 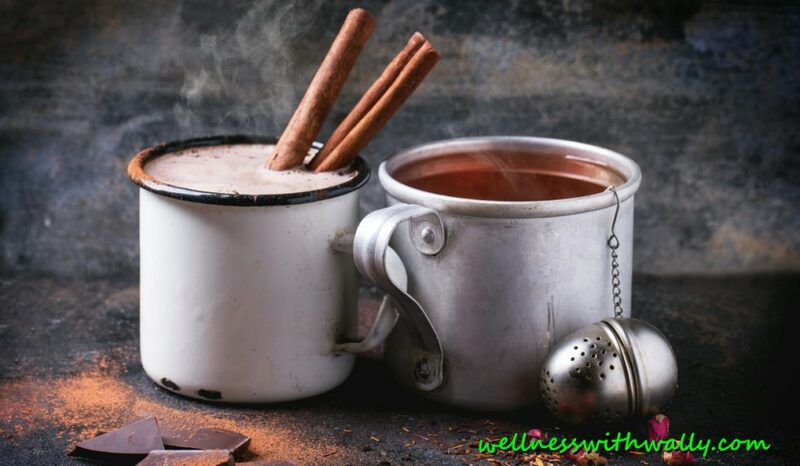 Remember it has a strong flavor and it doesn’t take much to provide health benefits. Use ginger and reap the many benefits. Previous Post Do You Want Health and Vitality? Next Post Is Your Mind Sabotaging Your Weight Loss Efforts?